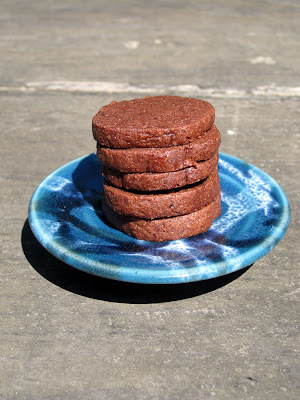 I'm totally in love with these tiny chocolate cookies! Of course you can make them any size you like, but I rolled them to a skinny 1-inch diameter since I was baking up lots of cookies for an event at church. The cookies had lots of flavors going on, with chocolate, espresso, and cinnamon, but they all combined well for a really delicious cookie. I loved the shortbread-type texture as well: perfectly crisp and tender. These cookies were pretty addictive, especially with their small size - it was hard to stop popping them in my mouth! 1. Whisk together the flour, cocoa, espresso powder, cinnamon, and salt. 2. Beat together the butter and sugar until fluffy. Add the egg and vanilla and beat until well combined. Add the dry ingredients and mix on low speed until combined. 3. Divide the dough into two pieces and roll each into a log (I made my logs about 1 inch in diameter for tiny cookies). Wrap in plastic wrap and chill until firm, at least one hour. 4. Preheat the oven to 350 degrees. Remove the log from the refrigerator and allow to soften slightly at room temperature, about 5 minutes. Slice into 1/4-inch rounds. Place on baking sheets lined with parchment paper, spaced one inch apart. 5. Bake until there is a slight resistance when you lightly touch the centers, about 10 minutes. Cool on wire racks. 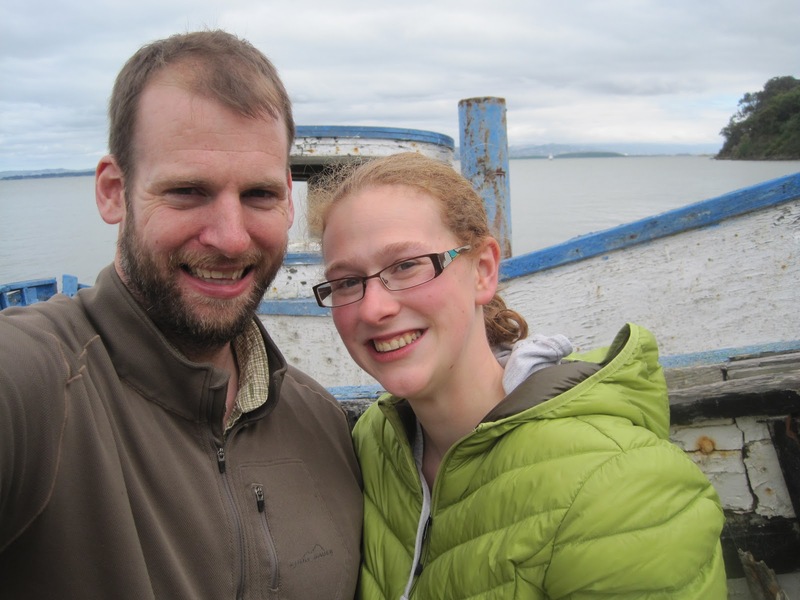 I have to say - entering blog giveaways is definitely something of a hobby for me, and one with excellent results! One of my recent wins was a giveaway from Dawn of vanilla sugar blog for the cookbook Baking Basics and Beyond . This cookbook contains lots of scrumptious desserts, and these espresso brownies were the first recipe I tried. I baked these for a retreat I went to, and they definitely fit everything I was looking for - easy to make, easy to transport, and absolutely delicious! Everything gets mixed up in just one bowl (plus a tiny bowl to mix the coffee and espresso powder - but this can just be quickly rinsed), so cleanup is a breeze. 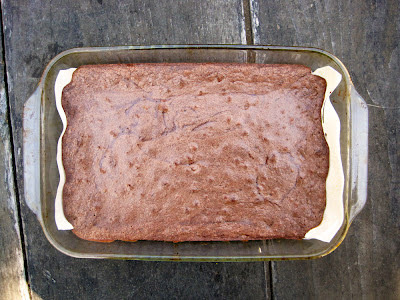 The brownies are super fudgey, although you could bake them a little longer if you prefer brownies that are more 'set.' The unsweetened chocolate and chocolate chips give a deep chocolate flavor. The espresso flavor was more subtle - next time I would probably use a little more instant espresso powder. Overall, these were definitely a crowd-pleaser -- thanks to Dawn for a great cookbook! 1. Preheat the oven to 350 degrees and line a 9x13 baking pan with parchment. Spray or coat with oil. 2. Melt the butter and chocolate together. Let cool slightly. 3. Combine the coffee and espresso powder in a small bowl until dissolved. Whisk into the chocolate mixture. 4. In a large bowl, whisk together the sugar, vanilla, and eggs until the mixture is smooth. Whisk in the chocolate mixture. Add the flour and mix in with a rubber spatula, and then stir in the chocolate chips. 5. Scrape batter into the prepared baking pan and smooth the top. Bake 20-25 minutes, until the batter just barely jiggles (for super fudgey brownies) or does not jiggle (for more 'set' brownies). Cool in the pan. I love making macaroons when I'm bringing dessert for a group because they're naturally gluten free and pretty much everyone loves them! This version is extra elegant and I think it would be perfect for a fancier event (or just to make an ordinary one feel special). The key is using coconut chips instead of normal shredded coconut - I found them in the bulk section of my grocery store, and they're definitely worth seeking out. 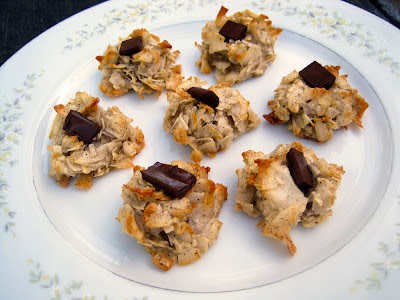 They're larger and crunchier than shredded coconut, and they make for a very pretty cookie with a crispy outside and a soft inside. I used ground vanilla beans to flavor these cookies since I had some on hand, which lends a speckled look and a particularly intense vanilla flavor, but vanilla extract will work just as well. I couldn't resist adding a bit of chocolate on top of each cookie. I added the chocolate right after the cookies came out of the oven, so that it melted all on its own - way easier (and less messy) than dipping macaroons in melted chocolate, with the same flavors. I love how the slightly bitter chocolate pairs with the sweet vanilla-and-coconut macaroons: perfection! 1. Line 2 cookie sheets with parchment paper. 2. Combine the egg whites, coconut, sugar, ground vanilla, and salt in a large heatproof bowl (preferably stainless steel). Set in a wide skillet of barely simmering water. Stir with a silicone spatula, scraping the bottom of the bowl often, until the mixture is very hot and the egg whites have thickened slightly (5-7 minutes. Cover loosely and set aside for 30 minutes. 4. Make heaps of batter on the baking sheet - I used a tablespoon scoop to measure mine, but you can make the cookies any size you wish. Bake about 5 minutes, just until the tips of the coconut begin to color, and then rotate the baking sheets in the oven. Reduce the oven temperature to 325 degrees and bake for another 10 minutes or so, until the cookies are cream colored with deep brown edges. 5. Immediately press one chocolate chunk into the top of each macaroon (the hot cookies will do the melting for you!). 6. Slide the parchment off the baking sheets and onto wire racks. Let cool completely, and then gently peel the parchment off the cookies. These bars taste like a combination of chocolate chip cookies and banana bread - a match made in heaven! I decided to make this recipe because I found some extra-ripe bananas at the grocery store that were super on sale (no doubt because they were over-the-hill for eating!). The bananas were perfect for baking, but for whatever reason I just wasn't in the mood for banana bread. Hannah's banana chocolate chip cookie recipe looked like just the ticket, except that I was feeling way too lazy to scoop out a bunch of cookies - so I went with bars instead! 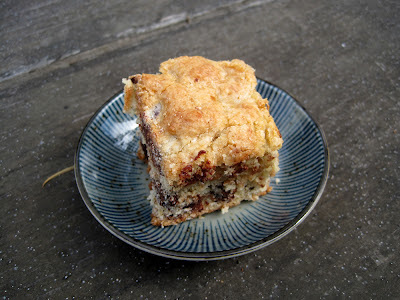 The bars turned out to be really delicious, with a crisp sugar-cookie-like top, a tender banana-flavored middle, and bits of rich chocolate scattered throughout. It retrospect, this was really too much batter for a 9x13 pan - the bars came out the height of cake but with the texture of cookies or blondies, which was tasty but not quite ideal. Next time I'd either cut down the recipe (I think a half recipe would create the correct height for cookie bars), or make this in two pans if I'm baking for a crowd. In any case, the bars made a tasty treat to munch on after a hike at China Camp with my boyfriend - we packed a big Tupperware full for our trip and managed to make it through most of them! 1. Preheat the oven to 350 degrees and grease a 9x13 baking pan. 2. Cream the butter briefly to break it up. Add the sugar and cream with the butter until fluffy. Beat in the eggs and vanilla until well combined. 3. In a separate bowl, whisk together the flour, baking powder, baking soda, and salt. 4. Add half the flour mixture to the butter mixture and beat until combined. Beat in the mashed banana, followed by the remaining flour mixture. Stir in the chocolate chips. 5. Scrape the batter into the pan in as even a layer as possible (it won't be perfectly even because it will be quite thick). Bake 45-50 minutes, or until a tester in the middle comes out clean. This homey dish is warm and totally comforting - the perfect thing to bake when it's chilly outside and you need something to chase the cold away. Like pretty much every recipe in Sunday Suppers at Lucques, it's fairly time and labor intensive, but the results are so worth it. Flageolet beans are simmered with rosemary, chile, and aromatics until they're tender and flavorful. 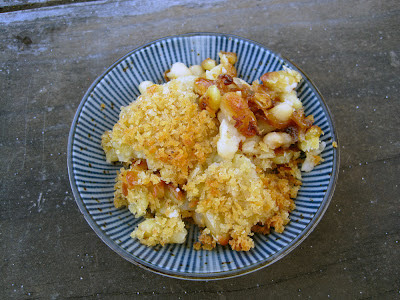 Then they're layered between sweet caramelized onions and a crunchy, buttery breadcrumb topping. So good! This is a pretty rich dish, so I'd recommend pairing it with something acidic and/or bitter to cut the richness. I scooped up main-dish-sized portions alongside fennel-radicchio salad, but this could equally well work as a side dish alongside simple chicken or fish and a big green salad or steamed vegetables with lemon juice squeezed on top. Note that despite the chile in the beans, this dish isn't at all spicy - if you want it that way, you should increase the amount of chile. 1. Heat a medium pot over high heat for a couple of minutes. Add a good glug of olive oil, and when it's hot, add the rosemary sprig and crumbled chile. Let sizzle for about a minute, and then add the diced onion, fennel, garlic, 1/2 T thyme leaves, and bay leaf. Stir for a minute or two, until the onion is softened. Add the beans, and stir for a few minutes until the beans are coated in oil. 2. Cover the beans with water by about 3 inches, and bring to a boil over high heat. Turn the heat down to low and keep the beans at a low simmer for half an hour. Add 1-1/4 tsp salt, and simmer for a further 15 minutes or so, until the beans are completely tender. 3. While the beans cook, caramelize the sliced onions. Heat a large non-stick skillet over high heat for a minute. Add a good glug of olive oil to the skillet, and when it's hot, add the onion, remaining 1/2 T thyme leaves, 1/2 tsp salt, and a few grinds of black pepper. Cook about 5 minutes, stirring often. Turn the heat down to medium, and stir in 1/2 T butter. Cook about 10 minutes, stirring often. Turn the heat down to low, and stir for about 5 minutes until the onions are dark brown and caramelized. 5. Grease a 1-1/2 quart gratin dish with oil. Spread the onions evenly over the bottom of the dish. Spoon the beans over, along with a good amount of their liquid (the beans should be very moist but not swimming in liquid). 6. Heat the remaining 2 T butter in a small pan, and stir over medium heat until browned and nutty. Stir in the panko until evenly moistened. Sprinkle evenly over the beans. 7. 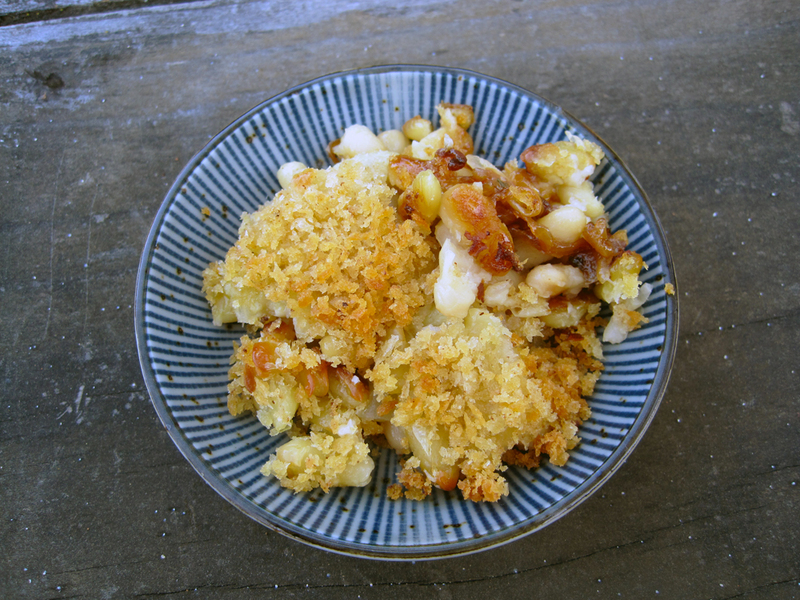 Bake the gratin for 40-60 minutes, until browned and bubbling. Let cool a few minutes before serving. 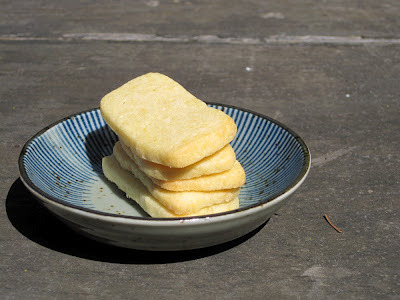 If you're a fan of sweet cornbread like I am, you will love these cookies. I selected the recipe because I (perhaps unwisely) splurged on a three-pack of Bob's Red Mill whole grain corn flour from Amazon, and then had to figure out how to use it up! Despite the fact that I have quite a bit of corn flour leftover, these cookies were definitely a great use for it, and I'd recommend picking up at least a single bag of the flour if your grocery store carries it. 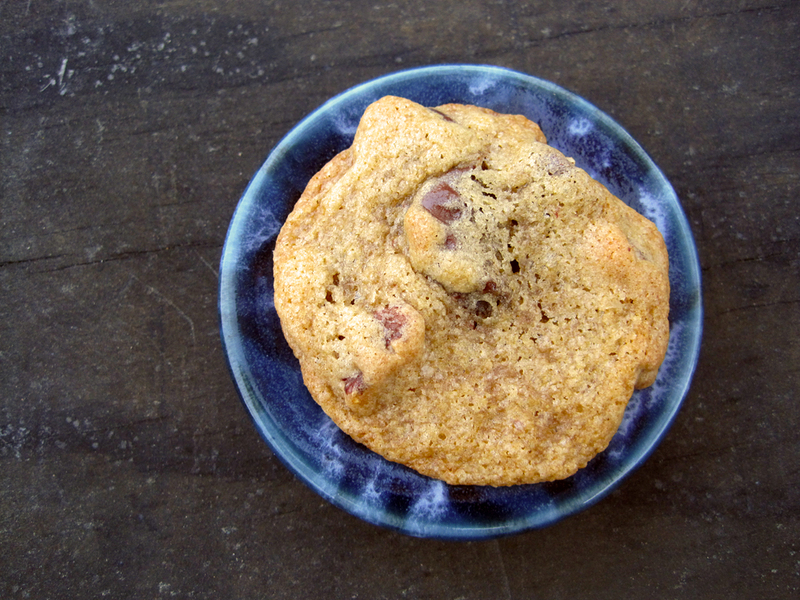 The cookies themselves are full of cornmeal flavor and not overly sweet. They're topped with a fabulous honey buttercream that pairs perfectly with the cookies and has just the right notes of the honey and butter you might top your slice of cornbread with. I could also see the buttercream pairing well with a spice cake or sandwiched between chocolate cookies - it has great flavor that would go well with lots of other desserts. 1. Preheat the oven to 350 degrees and line a baking sheet with parchment. 2. Whisk together the flour, corn flour, baking powder, baking soda, and salt. Set aside. 3. In the bowl of an electric mixer, beat together the butter and sugar until light and fluffy. Beat in the egg and egg yolk. Beat in the sour cream, vanilla, and orange juice. Gradually mix in the dry ingredients, and then beat until well incorporated. 4. Form dough into small balls, a little more than 1 tablespoon apiece. Roll into even balls, and then flatten slightly with your fingers. Bake 9-11 minutes in the preheated oven, being careful not to under-bake. The cookies should be totally dry on top and slightly browned on the bottom. 5. Cool completely on a wire rack and then frost with honey buttercream. Beat everything together with an electric mixer until light and fluffy. This month, my partner for the Secret Recipe Club was the lovely blog Barbara Bakes, full of absolutely scrumptious treats! Since I had signed up to bring cookies to church on Easter, I decided on Barbara's lime and almond sticks. I love citrus as a spring flavor, and the addition of almonds made the cookies extra tender, which I really like in a shortbread-type cookie. Best of all, I was able to make the dough a week ahead and pop it in the freezer, making my Easter weekend a lot less hectic! 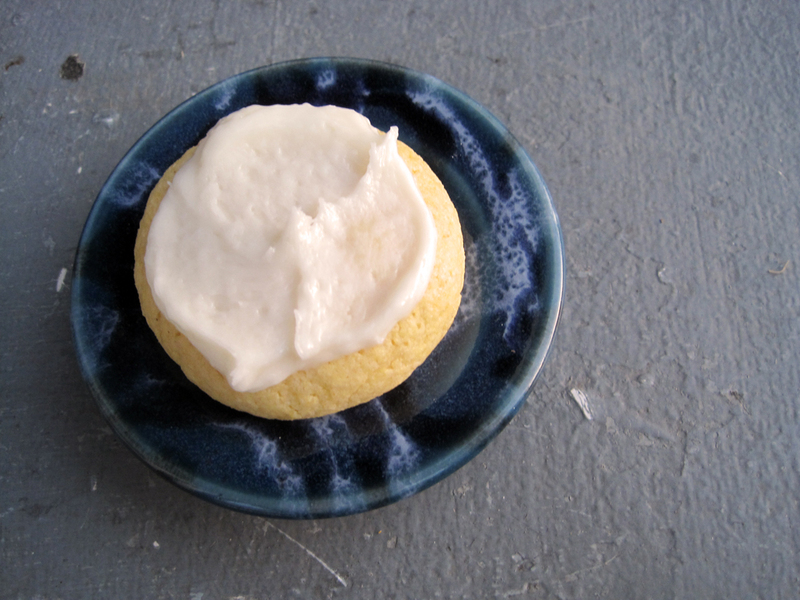 Although I intended to make these cookies with the original lime flavoring, I didn't make it to the store due to a giant rainstorm, and ended up using lemons from our backyard instead. The Meyer lemons added a lovely floral citrus flavor, but I definitely want to try lime next time. Either way, these were a big hit and everyone loved them. Thanks for a great recipe, Barbara. 1. In a food processor, pulse together the flour, confectioner's sugar, salt, and lime zest until combined. Add the butter and process until sandy. Add the yolks and lime juice and pulse until the dough comes together. Add the almond meal and pulse until combined. 2. Divide the dough in half and form into two logs. Gently press each log into a rectangle and wrap tightly in plastic wrap. Freeze until firm, about 2 hours (or up to one month). 3. Preheat the oven to 350 degrees, with racks in the upper and lower third of the oven. Line two baking sheets with parchment. Slice the rectangular logs into 1/4-inch thick slices and arrange on the baking sheets, about one inch apart. Bake about 15 minutes, rotating sheets halfway through, until the cookies are golden brown. Cool on wire racks. Although I love all the ingredients in eggplant Parmesan, I'd never actually made it before until recently. I'm so happy I finally did, because this recipe was amazing! 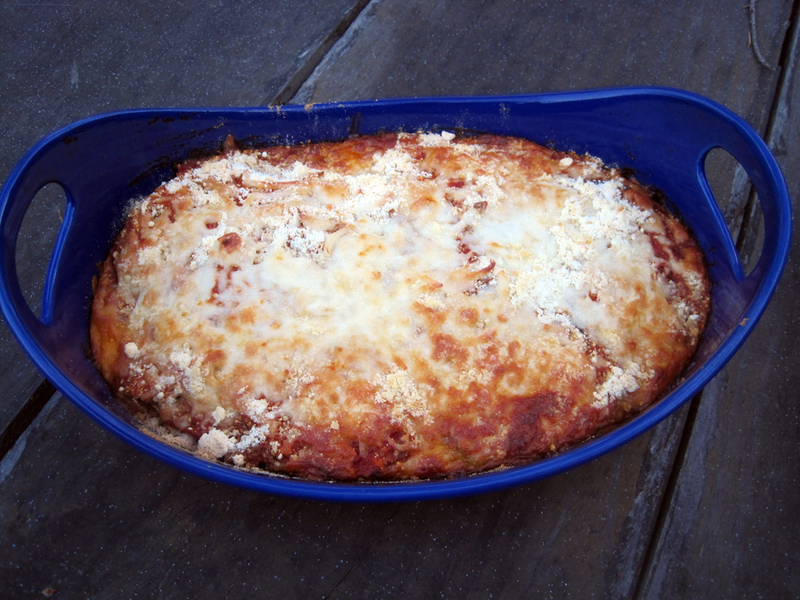 It's a bit healthier than some eggplant parm recipes because the eggplant is baked rather than fried - but, there's still plenty of cheese, making this a fairly rich dish. This recipe is a bit involved since it calls for making a tomato sauce from scratch, baking the eggplant slices, and then assembling the casserole and baking it. You could definitely make this more quickly by using store-bought tomato sauce, although the one included with the recipe is absolutely delicious. As with most casseroles, this keeps well in the fridge and reheats well, so it's a great option to make ahead for lunches or dinners later in the week. 1. Make the sauce. Heat the oil in a large pot. Add the onion, pepper, herbs, and salt, and saute over medium heat until the onion is very soft (about 8 minutes). 2. Add the tomatoes, tomato paste, honey, and black pepper. Bring to a boil, then lower heat and simmer, partially covered, for 20-30 minutes. 3. Add the garlic and cook about 10 minutes more. If desired, puree with a stick blender. 4. Preheat the oven to 375 degrees. Line a baking tray with foil and lightly oil. Also lightly oil a 2-quart baking dish. 5. Prepare the eggplant. Slice it into 1/2-inch circles. Place the milk in a shallow bowl and the panko in another shallow bowl. Add the herbs to the panko and mix together. Dip each eggplant slice in milk, coating both sides, and then dip in the panko mixture, being sure to coat well. Spread in an even layer on the baking tray, and bake until tender (20-30 minutes). Leave the oven on. 6. Ladle some tomato sauce into the bottom of the baking dish and spread into an even layer. Add a layer of eggplant slices and top with another layer of sauce. Sprinkle with half the mozzarella cheese. Top with another layer of eggplant, sauce, and cheese (you will have extra sauce, which is great for pasta or pizza). Finally, sprinkle with Parmesan cheese. 7. Bake for about 40 minutes, until heated through and bubbling. Remove from oven and let sit 10 minutes before serving. I love pretty much every sort of chocolate chip cookie - chewy, buttery and crispy, thick, thin, or any other variation! These cookies are definitely of the thin and chewy variety, and they're extra buttery with amazing flavor. They spread out a lot, so be sure to leave plenty of room between cookies on the baking sheet. I loved that these cookies stayed nice and soft for a few days (and the recipe made plenty of cookies, so they actually lasted more than one day!). I included chopped pecans, which I wasn't crazy about - I didn't think the occasional crunchy bit fit well with the otherwise soft, thin layer of cookie dough. Next time I'd include just the chocolate. The dark chocolate chips I used were a perfect contrast to the rich cookies, and I definitely recommend using either good-quality dark chocolate chips or chopped dark chocolate. 1. Preheat the oven to 350 degrees and line baking sheets with parchment. 3. Beat together the butter, sugars, vanilla, and water until fluffy. Beat in the eggs until fluffy. 4. Add the flour mixture and stir in with a rubber spatula until just combined. Then beat with electric mixer until well combined. 5. Stir in the chocolate and pecans. 6. Scoop the dough onto the baking sheets, working in batches. Bake 10-12 minutes, until the bottoms are golden and the tops are just set. Let cool on the parchment for a few minutes before transferring to a wire rack to fully cool. 1. 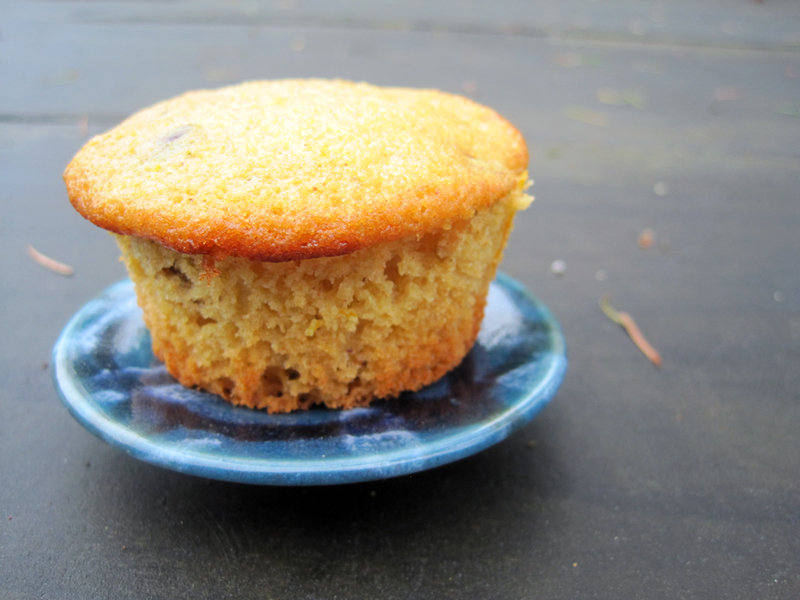 Preheat the oven to 375 degrees and line muffin tins with papers (about 18 muffin tins). 2. In a large bowl, whisk together teh flour, sugar, baking powder, baking soda, cinnamon, anise, and salt. Scatter the figs and apricots over, and toss together to coat in the flour. 3. In a medium bowl, lightly whisk the eggs. Add the honey, olive oil, orange juice, and orange zest and whisk to combine. Add to the dry ingredients and fold in with a rubber spatula until just combined. Fold in the pistachios. 4. Divide the batter among the muffin tins, filling each about 3/4 full. 5. Bake until a tester comes out clean, about 15 minutes. Cool on a wire rack. Good warm or at room temperature. I'm sending these off to BSI: Flour!